Thanks to all the volunteers and many donations that are making our new shelters possible! Here's a glimpse of those who've contributed recently. Sue Bro installed this flooring in Esther's Place. Thanks Sue! Richard and Mary cut concrete in House #4. Wow! Thank you! 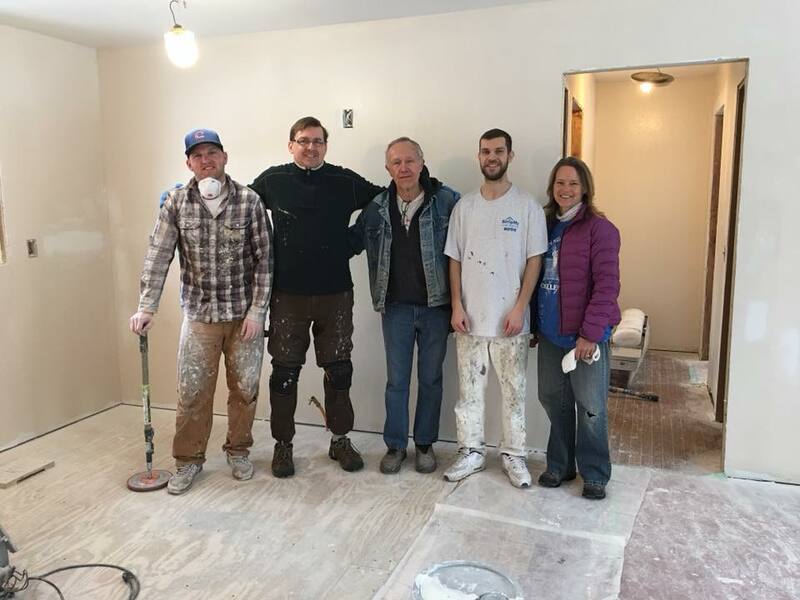 Magic Painting Co. (pictured with long-time TDP volunteer, Paul Leverentz: center) painted Esther's Place for us. Huge help! www.magicpainting.com. Beginning in February, we need more volunteers - individual and groups - to paint and decorate our new house. Please let us know if you are interested by email: info@thedwellingplaceshelter.org. If you have furniture in good condition (especially 3-5 drawer dressers and lamps) to donate, contact us at info@thedwellingplaceshelter.org. 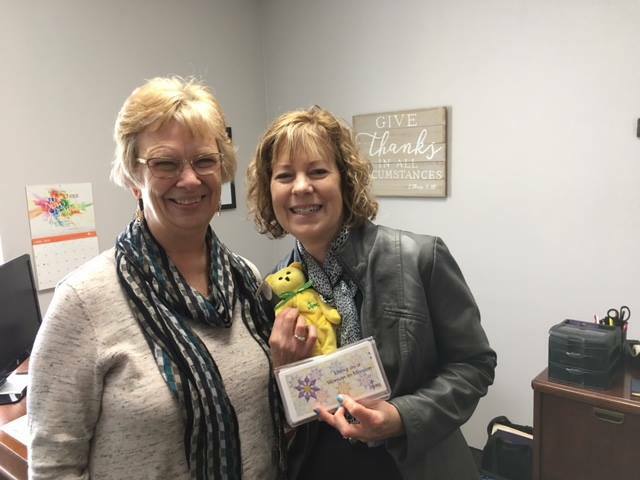 "Esther's Place" will be a safe place for women and children escaping abuse and beginning a new life! Please join us in thanking God for His abundant care and protection as He provides EVERYTHING we need (just as He promised)! 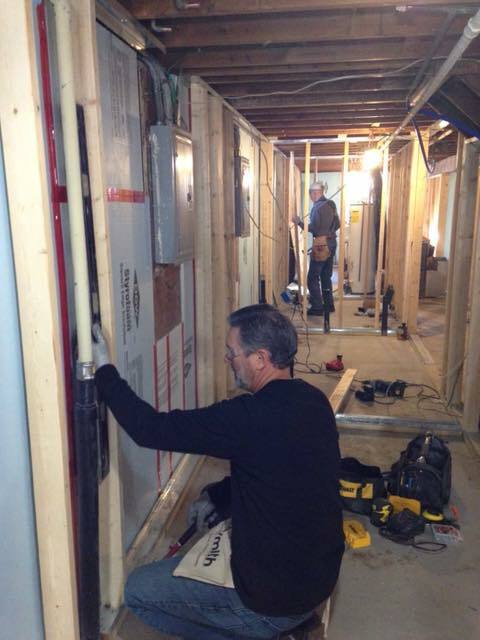 The walls are going up in our newest house! 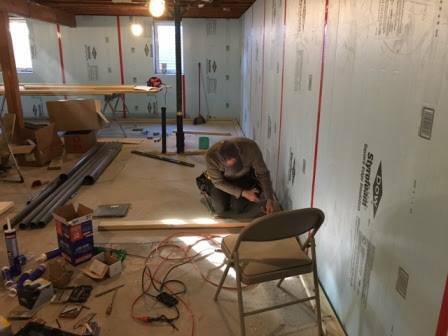 We are so grateful to our renovation volunteers who are putting in countless hours of their own precious time and tirelessly working on getting our new house ready for more women and children to move into. We are scheduling work projects for August, September, October (and possibly beyond) to prepare new spaces for our women and children to grow, heal, and live in the loving support of The Dwelling Place. Many volunteers will be needed for various tasks. Please sign up and let us know how you are interested in getting involved. You will receive information updates regarding work dates, types of projects, and specific needs. We thank God for you in advance!